If you are in the market to buy or sell a home in Goleta, California, you are in need of real estate agents in Goleta. During this time of economic recession and disasterous real estate markets, you need a real estate agent you can trust to lead you gently through the stress and pitfalls of buying or selling your home. Goleta, California has very high property values still, even after the crash. The average cost for a home in any of its districts is still well over a quarter of a million dollars. The reason for this is Goleta, California is in the same county as the haughty city of Santa Barbara. The area has long been home to the socially elite. However, the great majority of tourists and residents of Santa Barbara County, still reside in the city of Santa Barbara itself. The population of Goleta is only a little over 22,000 inhabitants in the city limits as of the last US Census. Goleta is an area people go to for peace and for quiet. The main reason for the expensive real estate in this area of the California is its geographic location: Goleta is located on the coast of sunny southern California and at the foot of the Santa Ynez Mountains. Both of these details make for a beautiful city anyone would love to own a home in. Even in the down turned market, there are still going to be willing to pay any price to be a part of this area. The demographics of the area are primarily caucasian with the median income not dropping below 67,000 dollars a year. 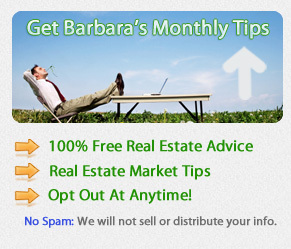 Real estate agents in Goleta are available to people of any income seeking a home or property. The schools in this area are renowned for their high standards. The city of Goleta is served by the Goleta Union School District and the Santa Barbara High School District. If you are in need of more exclusive schools for your children, there are a number of private and parochial schools that serve the area as well. Besides the beach and the foothills, Goleta has made it a point to incorporate some city sponsored green space in the form of several beautific parks: Stow Park, Lake Los Carneros, and Ellwood Open Space. The latter is the newest addition to their tally of parks. It is a gorgeous creation on the bluffs with a view over the Pacific Ocean.